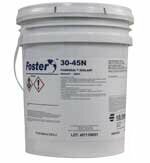 FulaFlex 550 PU LM is a one component moisture-curing low modulus Class A polyurethane sealant with excellent joint movement capabilities. 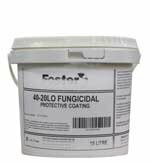 It cures into a flexible, durable and weather resistant sealant and exhibits excellent adhesion to a wide range of substrates. FulaFlex 550 PU LM is low in VOC (<30g/L) and satisfies the requirements for the Green Building Council of Australia (GBCA). for glazing with glass, acrylic or Polycarbonate sheets. Not for use on Marble or other highly porous stone without pre-testing for staining. Open cell backing rod is recommended. All surfaces must be clean, dry, sound and free of dust, oil, old sealant or other contamination. Application: Insert the sausage into the applicator gun and make a small incision at the extrusion end of the sausage. Fit the barrel end and nozzle, with the nozzle cut to deliver the appropriate bead size. Gun FulaFlex 550 PU LM by pressing the trigger to continuously fill the joint - while ensuring that air does not get trapped in the sealant/joint. After filling an appropriate length of joint, smooth the sealant with a spatula or trowel, pressing the sealant into the joint to form the required finish while ensuring the sealant fills the joint and is complete contact with the substrates. The application tool should contact the entire surface that is required to be tooled, and may be dipped in solution of detergent/soap and water (approx. 1:5 ratio), ensuring that the solution does not get into the bonding areas.